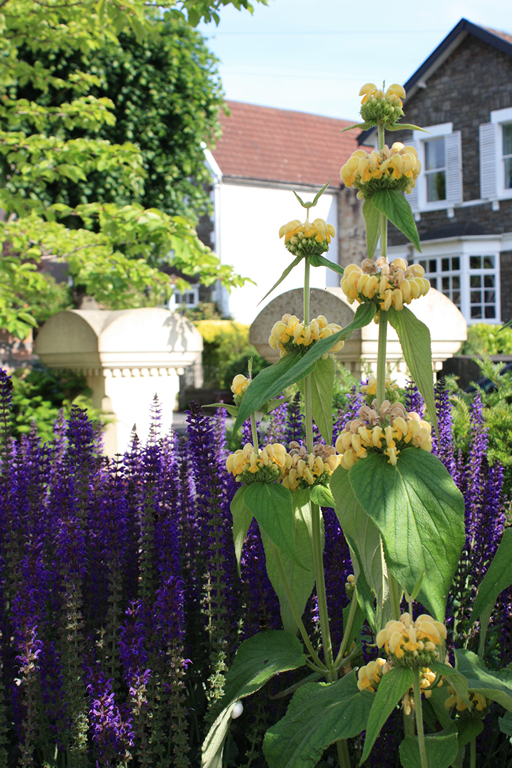 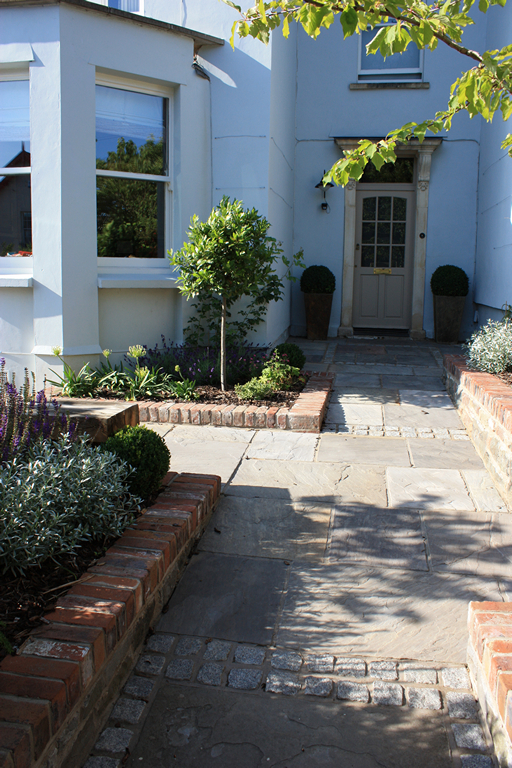 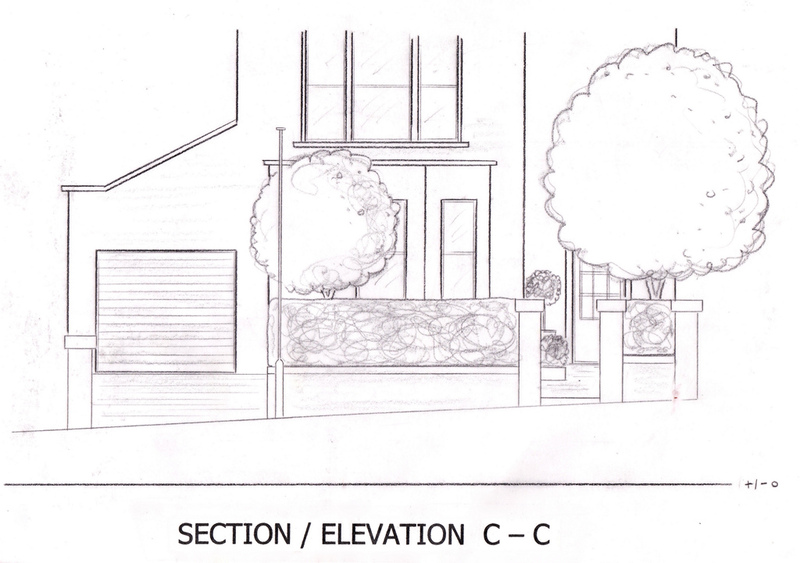 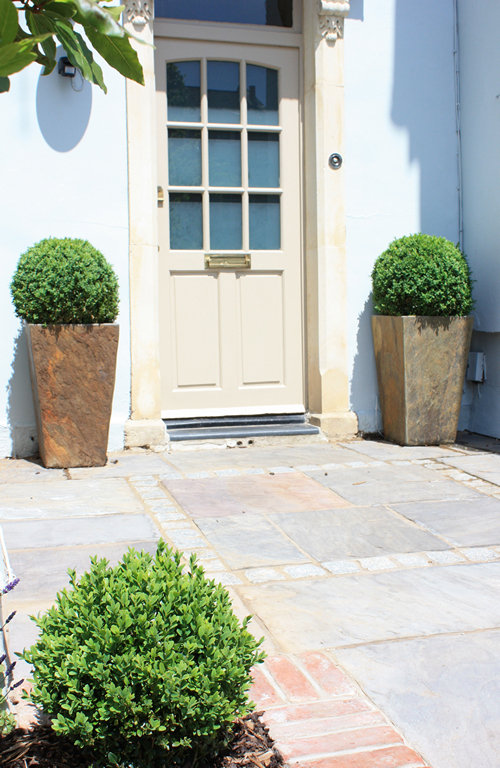 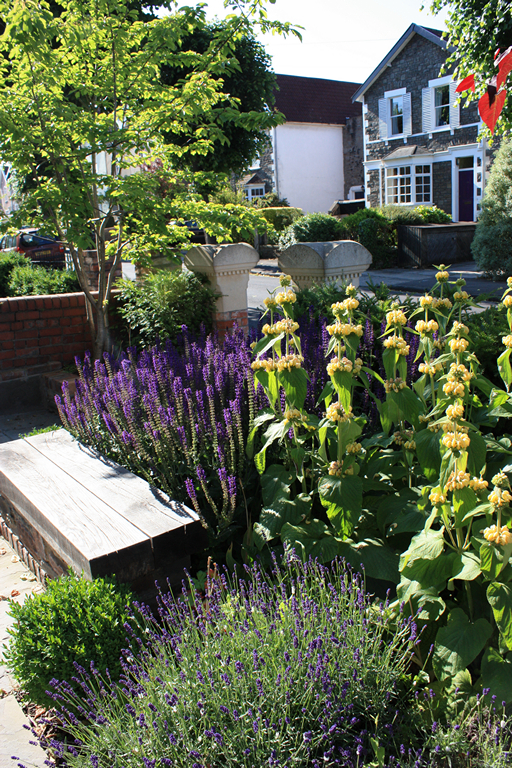 Small front garden (8x12m) designed to give this Bristol property a smart and stylish first impression. 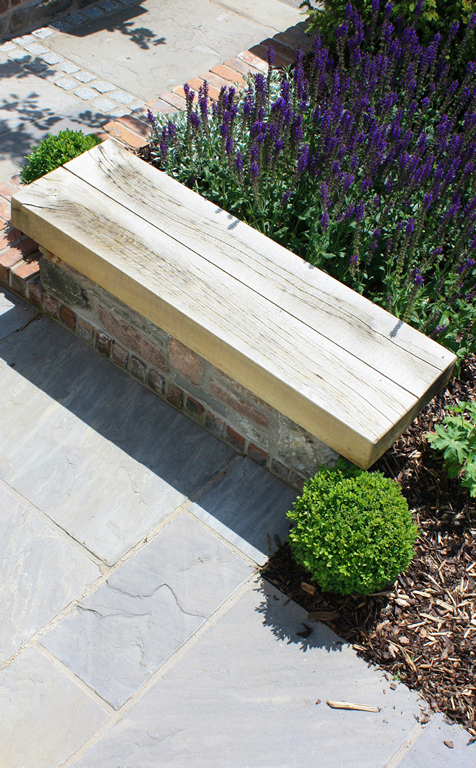 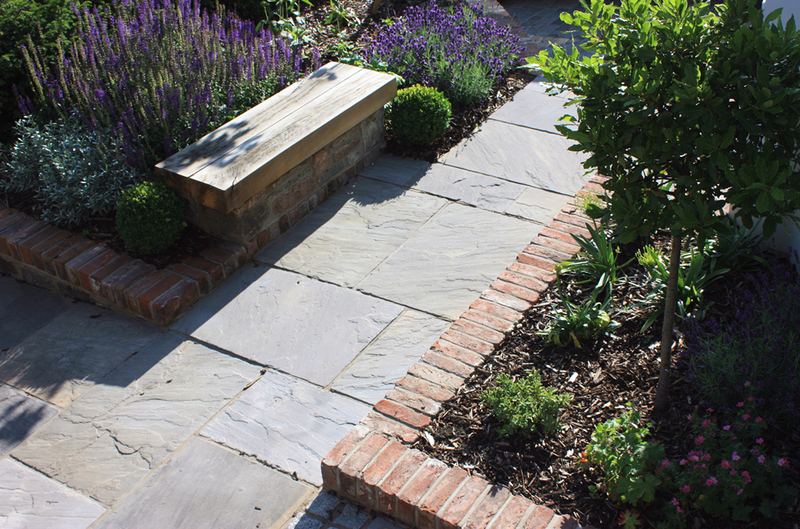 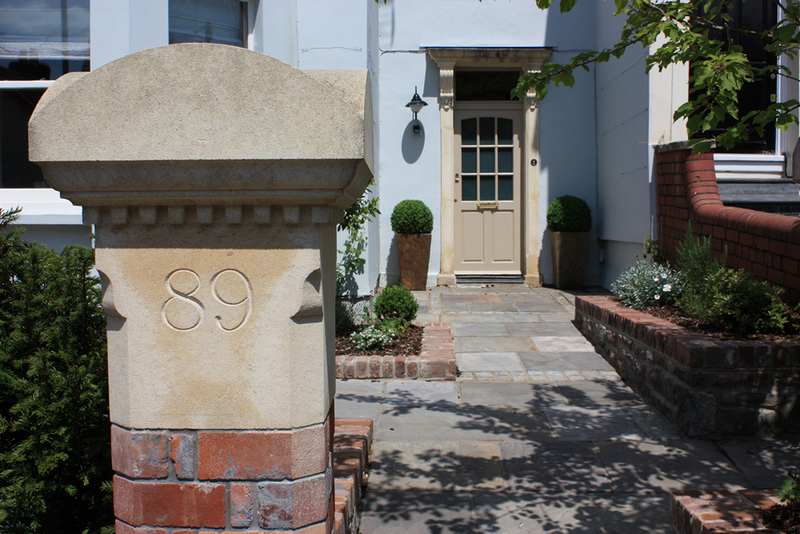 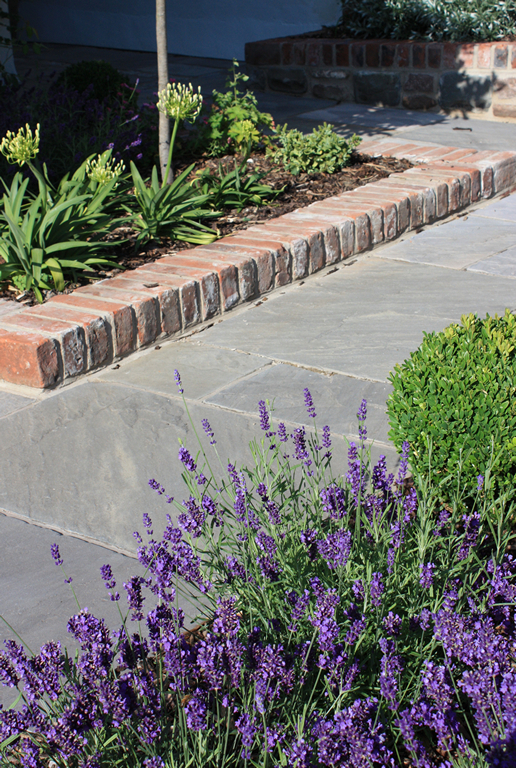 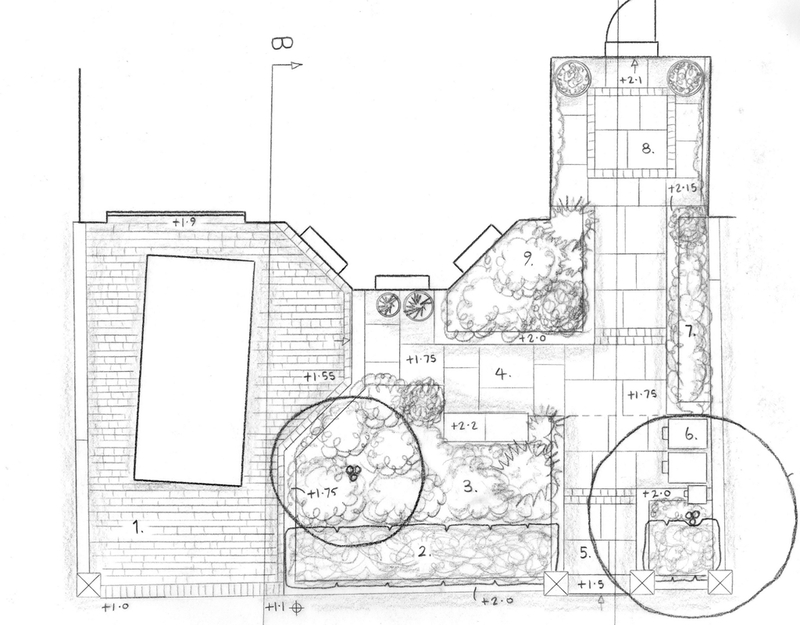 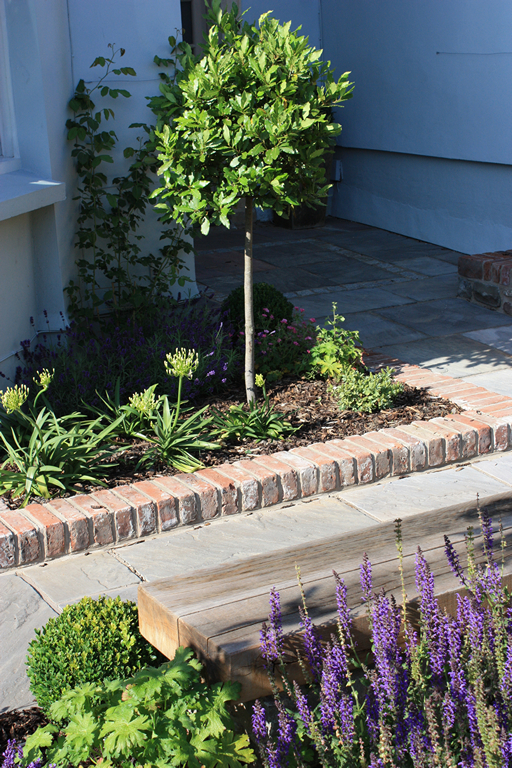 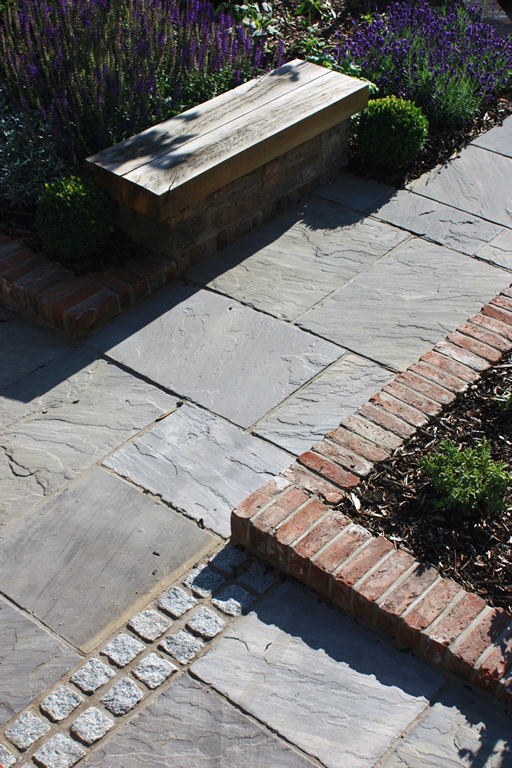 The layout includes a car-parking space, natural stone paving with granite sett details and a bespoke oak seat. 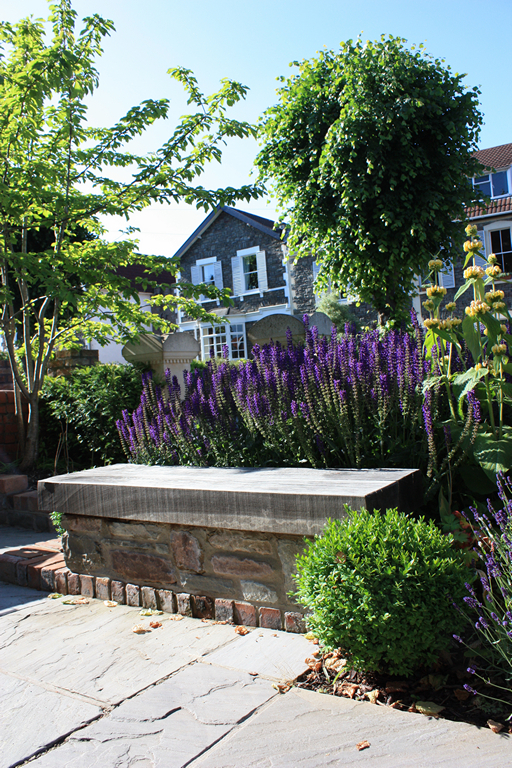 Structural planting of clipped Yew, Box and Bay is complemented by bold groups of long flowering perennials.